One of the topics I write about is organizing strategies and I haven’t done anything in this area in a while. So I wanted to share a collection of some of my BEST tools to boost your organizing strategies. Let’s face it, part of the key to organizing your belongings is to make it EASY. Like Flylady says “If it’s not FUN, it won’t get DONE”. So these products are going to make your life easier to keep organized. Disclaimer: This post contains affiliate links. I will receive a small commission on any links you click on. It pays for my time to find these great items for you. I thought this cool gadget was BRILLIANT. They have two different versions – one that’s set up for making hamburger patties or freezing soups and stews and other thick types of liquids – Think homemade BABY FOOD. The other is for smaller items like cookie dough. It’s a great idea to get uniform, freezable foods that store in your freezer or go right on your grill. It’s non-toxic, dishwasher safe, free from BPA’s and other harmful plastics. 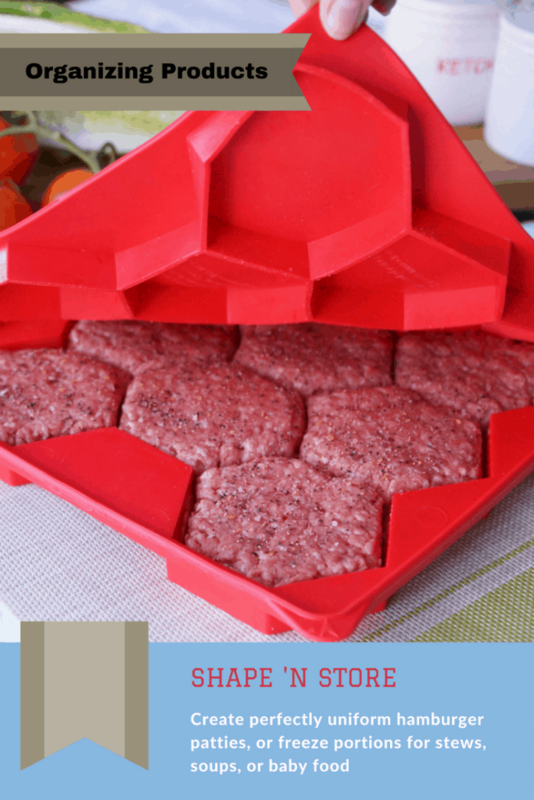 You can make 8 identical octagonal patties, or whatever you are using it for. Keeps them separated and free from freezer burn if you are storing them for future use. And if you’re really clever, you can make stuffed burgers by smooshing two patties together with something yummy in the middle of them. Customers are saying that these Shape ‘n Store items are very clever and practical. And they are coming up with all sorts of things they can use it for. Some of them are buying several to use for different foods. Click here to purchase the Shape ‘n Store at The Grommet. This Drawer Decor system is going to be fabulous to organize all your drawers. It comes in a variety of different colors and is infinitely reconfigurable to suit your needs. You can trim it to fit any drawer and the soft silicone tabs can be moved around as need to keep your drawers and storage spaces as need as a pin! Works better than expected! 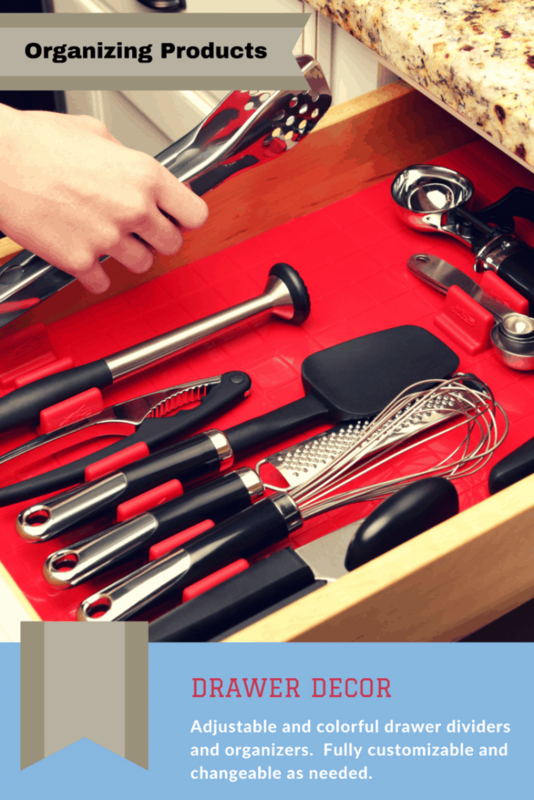 My kitchen drawers have never been so organized – everything has a place and stays put. I decided to order more to finish off other drawers that badly need to be organized! Click here to purchase the Drawer Decor System from The Grommet. My next brilliant organizing strategy is Bedstackers. Is your bedside table as overcrowded as mine is? I also have a sleep app that requires my phone to be on my bed somewhere to measure my sleep. So, you know what I’ve been doing? I’ve taken a pillowcase and safety pinned it to the side of my mattress to make a little pocket for my phone – lame! So, that’s why I NEED one of these Bedstackers. 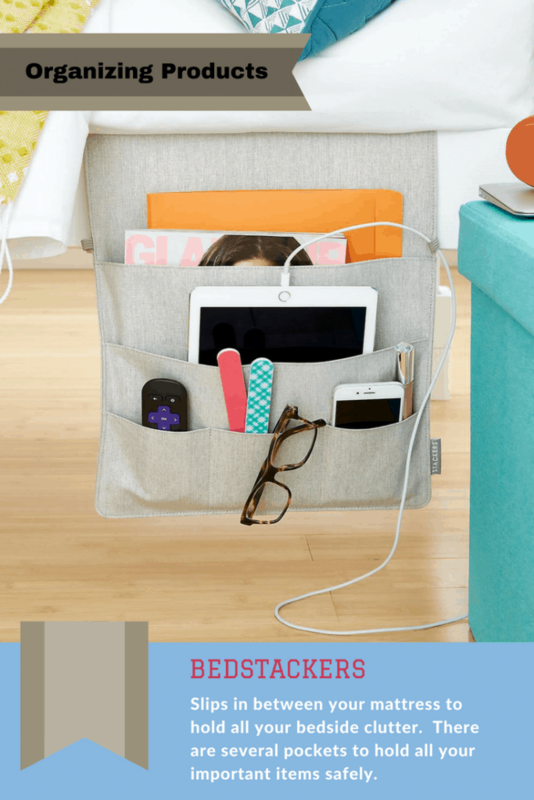 It holds your book, your remote, your phone, your glasses, and stores your charging cord in a special loop. How cool is that? It even comes in two size depending on how much STUFF you need it to hold. Here’s what people are saying about the Bedstackers products. I bought this for my husband and he loves it. I bought him the smaller bedside pocket and he has been using it for his glasses, tablet, and phone. With these items in the pocket, he still has space in the form of 3 pockets. The material is thick and seems very durable. It slid easily between our box spring and mattress and has not shifted or slid down at all. The color is a beautiful light gray that fits in great with our bedroom. We are very pleased with this purchase! 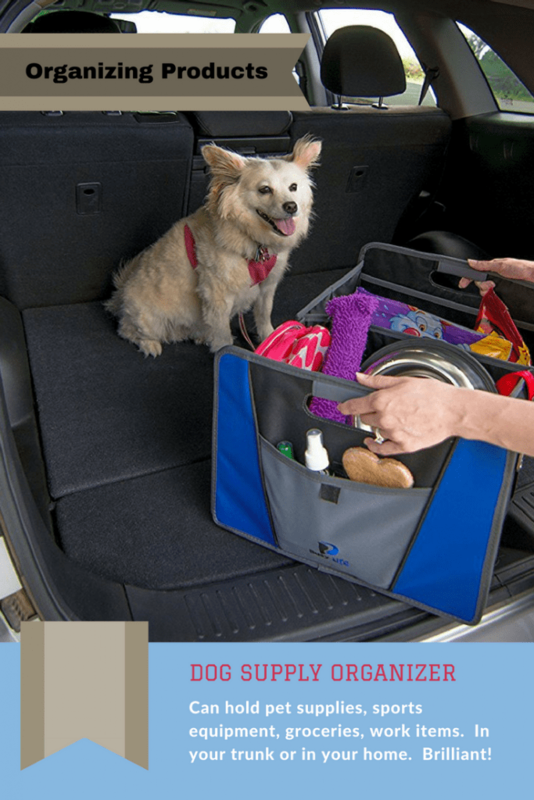 This was listed as an organizer for pet supplies (and most of us could use something like this for our dogs), but a lot of other people were using them to carry their groceries, sports items for the kids, and items to organize their trunk. I’ve got one of these in my trunk and I keep my jumper cables, some water, and a few other odds and ends in it. It’s made from heavy canvas and it has 2 large compartments, padded handles, and several outside pockets for leashes or small items. It’s got almost all 5 Star ratings on Amazon. Bought two dog supply containers to use with groceries. We set them in our grocery cart and used them to separate our items along the way. At check out we were able to quickly unload onto the belt and have the cashier easily reload our items without having to mess around with the bag carousel, saving us both time. Putting them back in the car and pulling them out at home took under 10 seconds each, no longer needing to bend back and forth to move a pile of grocery bags. Added bonus, the ride home was nice and quiet without things clanking and sliding around in the back. Click here to purchase the Pet Supplies Organizer at Amazon. A traditional key chain can be bulky in your pocket and can actually poke holes in your pocket or scratch your nice paint job. 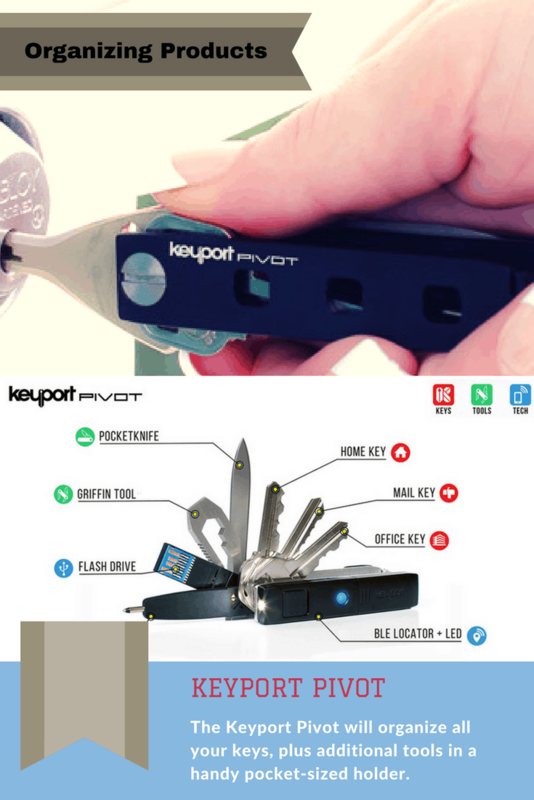 With the Keyport, you can not only organize your keys, you can also add extra tools to make this a versatile multi-tool in your pocket. You can add a flashlight, thumb drive, screwdriver, whatever you need. What a great gift for a guy – they LOVE to show off fun gadgets like this to their friends! This Keyport is like a customizable Swiss Army Knife that fits flat in your pocket and doesn’t jingle. I can add or subtract tools as needed and it all lock into place. Love it! Click here to purchase the Keyport at The Grommet. 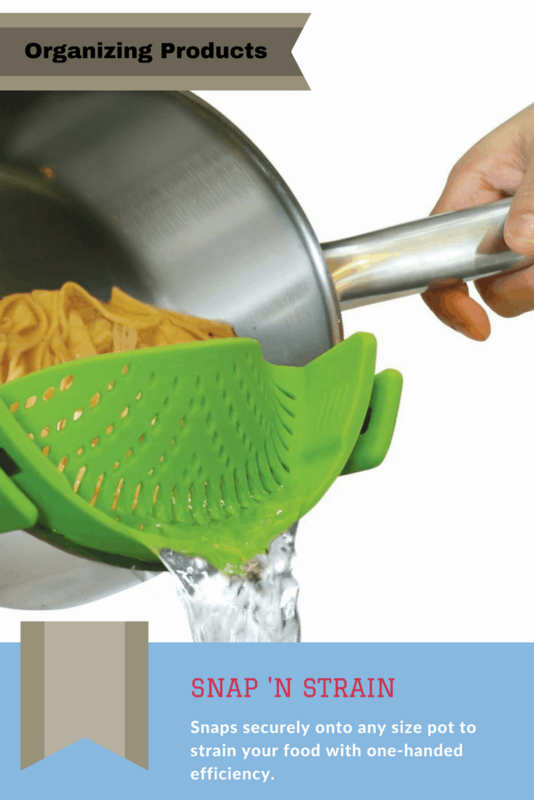 This versatile soft Snap ‘n Strain silicone strainer snaps onto any pot to help you strain any food one-handed. Has a built-in spout and conforms to any size of pot. Protects your hands from burns by keeping them away from the hot liquids. This is a must-have tool for every kitchen. I’ve been using this for quite some time and I’m sooo happy with it. I use it for ground beef, pasta, and it works with every pot I use. This is a great storage solution for your bulky items like comforters, towels, pillows, and towels. Perfect for homes with limited storage. 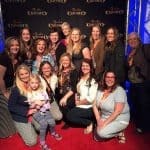 This is going to be one of your BEST organizing strategies! These Ziploc Cubes keep your items dust and bug-free and store them in a fraction of the space. Once you remove them from the bag, they puff right back up. I recently downsized and have almost no closets. These bags were a huge help! They hold as much as the recommendations state. I now have a duvet, two quilts, four pillows, and two sheet sets stored in one overhead cabinet. 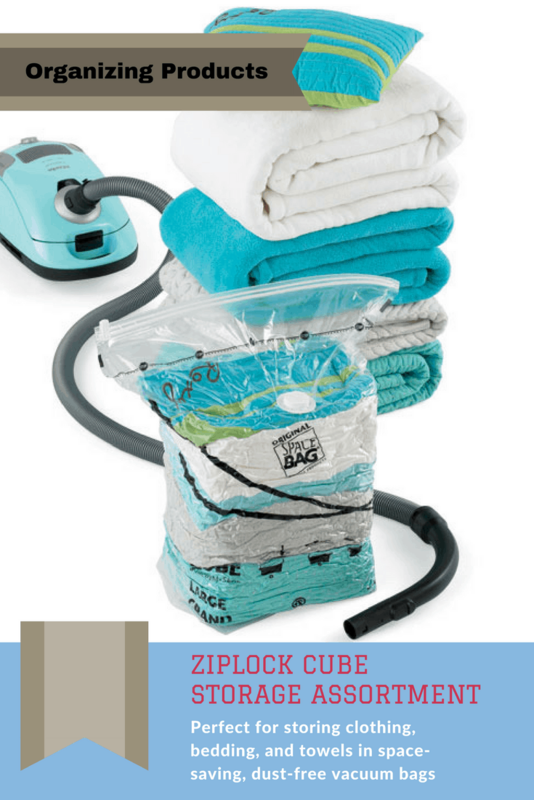 Click here to purchase the Ziplock Cube assortment at The Container Store. Most households devote an entire drawer to various kitchen wrap products. 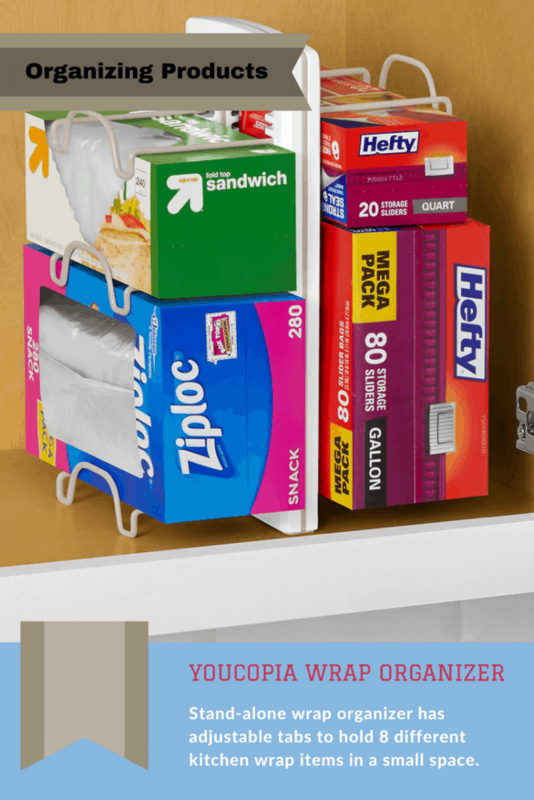 Why take up so much room when you can store everything you need in one small space with this Youcopia Wrap Organizer? Has 8 adjustable tabs to hold up to six different kitchen wrap products in an organized way so you can easily get to them as needed. I like that this product doesn’t require any screws or installation and it holds size different types of wrap securely. That’s perfect for everyday use of foil, baggies, plastic wrap, and parchment paper. Takes up so much less space! Click here to purchase the Youcopia Wrap Organizer at The Container Store. These days, every household has all these devices – phones, tablets, gaming devices, etc. and they end up all over the house. This elegant leather charging station will help you gather all your devices together and there is a hidden multi-plug in the bottom so you can charge all your devices simultaneously. You can also toss in additional items like glasses, watch, wallet and keys to keep all your important items in ONE place! We have seven mobile devices in my family and there were charging wires everywhere. I decided to give this charging station a try. The charger(s) and wires from wall socket are out of sight in a box under a magnetized lid. There are wire openings on the top, back and sides, so you are able to configure the arrangement to your taste. It easily holds my Chromebook, cell phones, Kindle, and iPad. It is very well made and does not take up a lot of room. 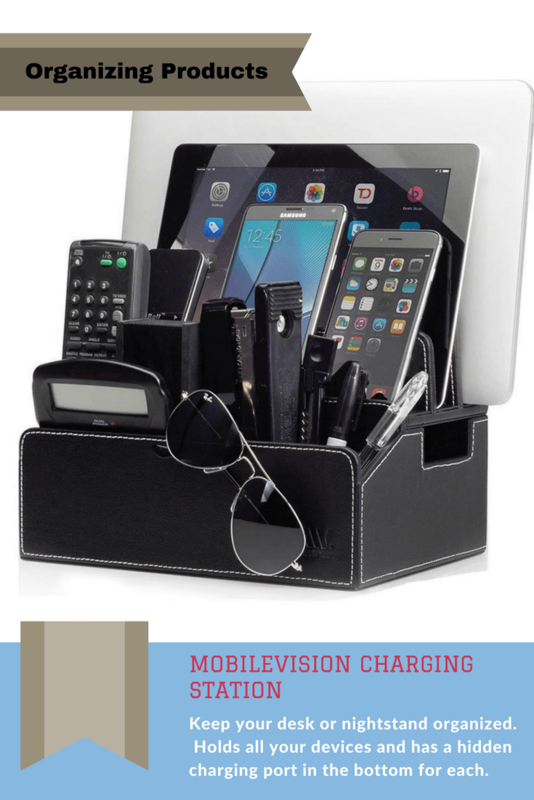 Click here to purchase the Mobilevision Charging Station at Amazon. I saved the best for last. This awesome gift wrap organizer holds a whopping 25 rolls of gift wrap, plus all the bows, ribbons, tissue paper, and everything you need. This is the perfect organizing strategy for every home! This thing holds a ton of wrapping paraphernalia. I was able to empty three big boxes of stuff. It is really saving space in my catch all closet. This organizer is very sturdy and well made. What I like best is that it spins around so you don’t have to move it. I can just open my closet and spin it to get out what I need–paper, ribbon, tissue, bows and cards. Yes there are enough pockets for it all. 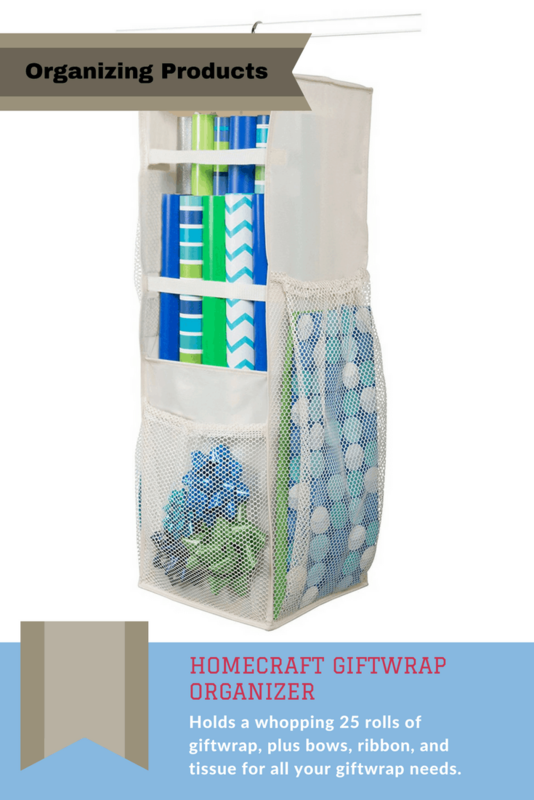 Click here to purchase the Homecraft Gift Wrap Organizer from Amazon. 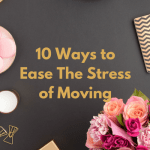 Hope you will enjoy these products and that they will help you to implement your own storage solutions and keep your home more organized and less chaotic. Great list of ideas! Think my fave is the little mini hamburger maker and the strainer. Visiting from Saturday Sharefest. Thanks for stopping by Victoria! I LOVE my SITS Girls! I thought that hamburger maker was the BOMB! Appreciate the comment.